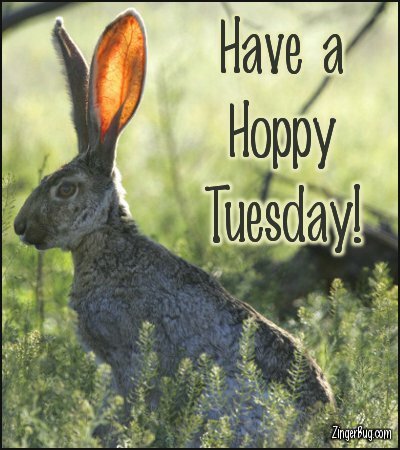 This section includes comments and glitter graphics to wish your friends and family a Happy Tuesday. It's Tuesday, and now that we've all gotten over the shock of Monday, it's time to settle in for another week of work or school. Time to get back into the rhythm of things and be productive! So let your friends know that Tuesdays can be terrific! These images are free for your personal use through email, or on any social networking site or blog.